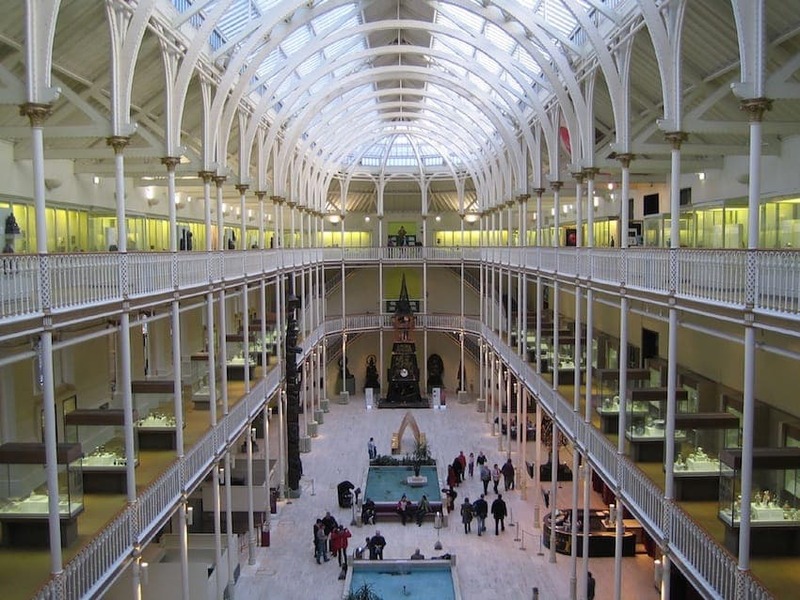 The National Museum of Scotland, Edinburgh is a merger of the Museum of Scotland's collection of Scottish antiquities, culture and history, with the adjacent Royal Museum collections covering science and technology, natural history and world cultures. The two neighbouring buildings of completely distinct characters are connected to each other. Notable exhibits include the stuffed body of Dolly the sheep (the first successful clone of a mammal from an adult cell), a large kinetic sculpture named the Millennium Clock and the popular Scottish invention of an early form of guillotine!